We spent the last two weeks in Corsica. A fantastic island! The landscape, kitchen and also the people are awesome. There are so many ideas and so much energy in the air. 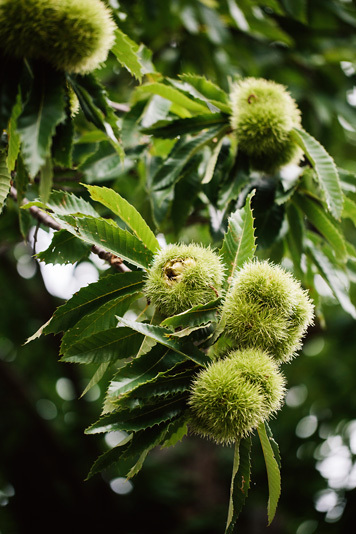 On the first day we visited the beautiful chestnut region Castagniccia with its quaint village, plenty of chestnut trees and half wild pigs which you can find on the whole island. They are always happy to find some dainties. 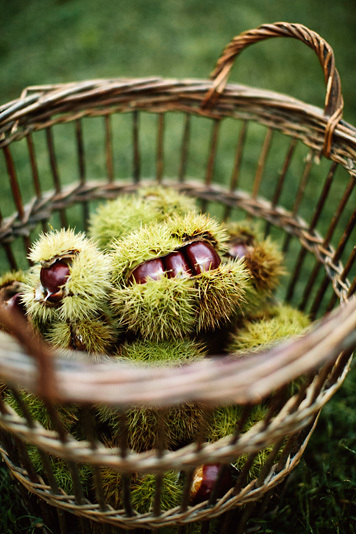 Therefore it was kind of difficult to find some left over chestnuts. 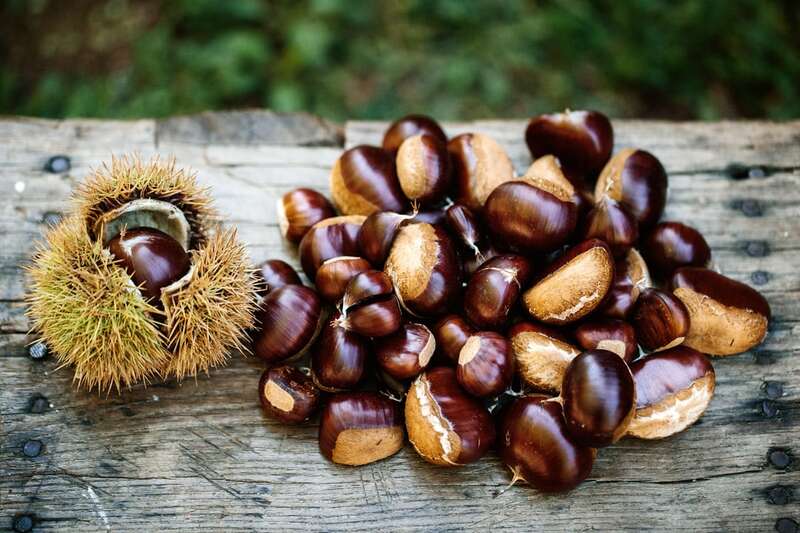 Chestnuts formerly were an important basic food for the people in Corsica and there are so many delicious and traditional recipes with chestnut. 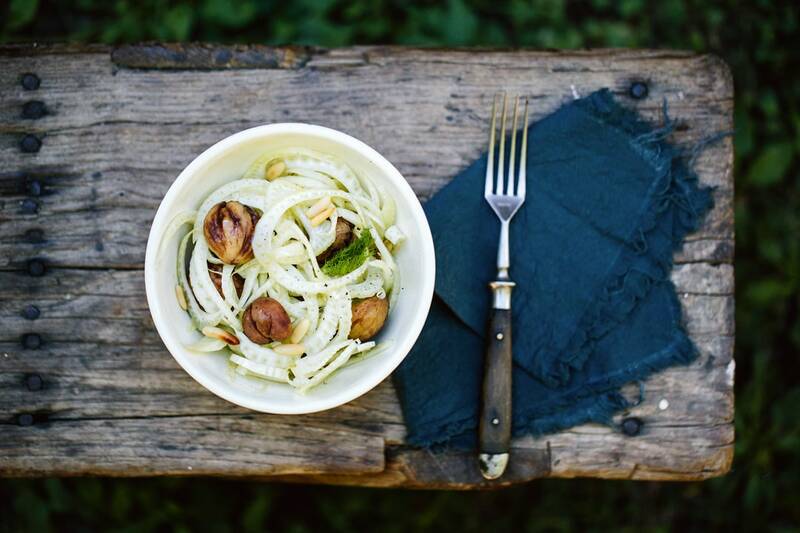 There is a very simple salad that impressed us. 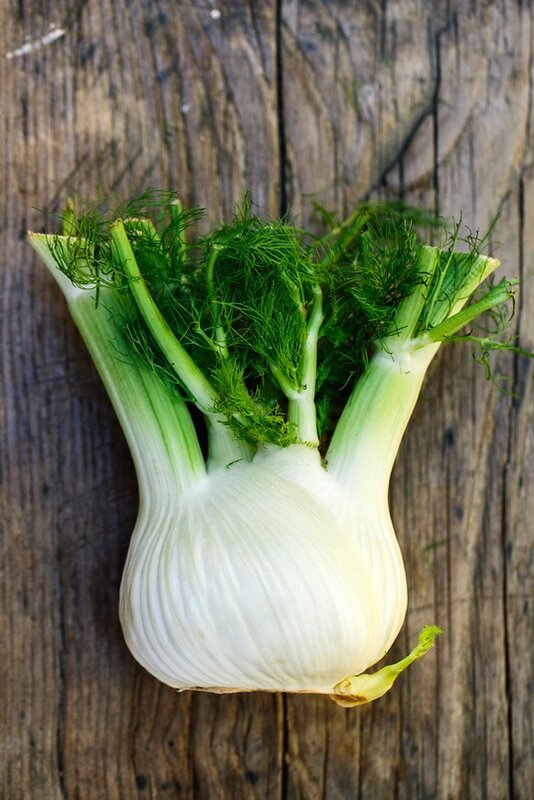 Wash and slice the fennel and mix with the cooked chestnuts in a bowl. Squeeze the orange and lemon and mix the juice with the apple cider vinegar, agave syrup and olive oil. Season the vinaigrette with salt and pepper. 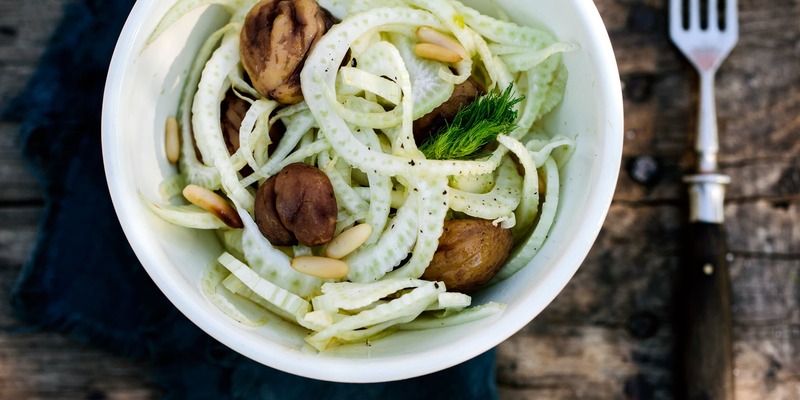 Pour over the salad and let it soak for some minutes. Finally add the roasted pine nuts. 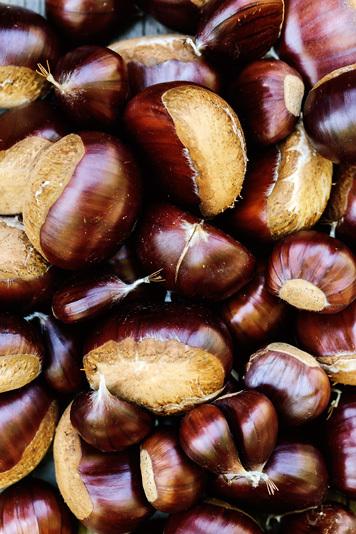 If there is some time left, roast the chestnuts at 200°C for 20 minutes in the oven. To avoid them from bursting, cut a cross on top. Peel while hot. 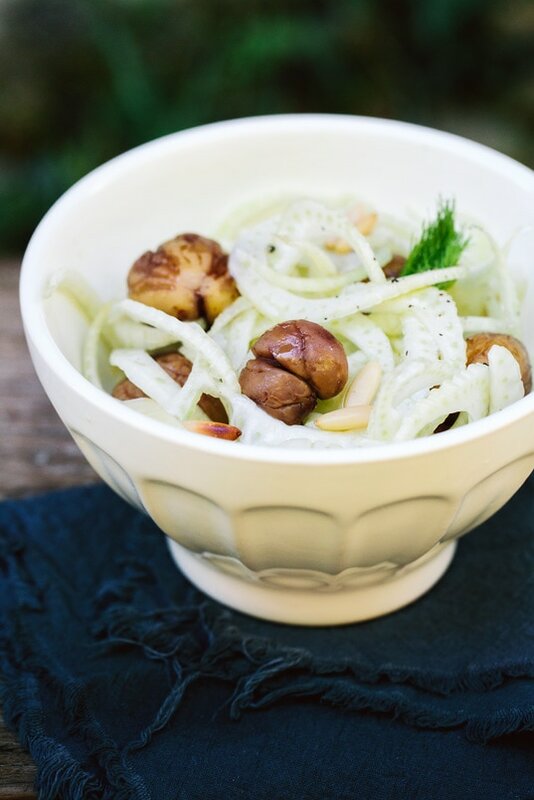 You can also prepare the chestnuts the day before and marinate them with fig vinegar, which tastes delicious with this recipe.